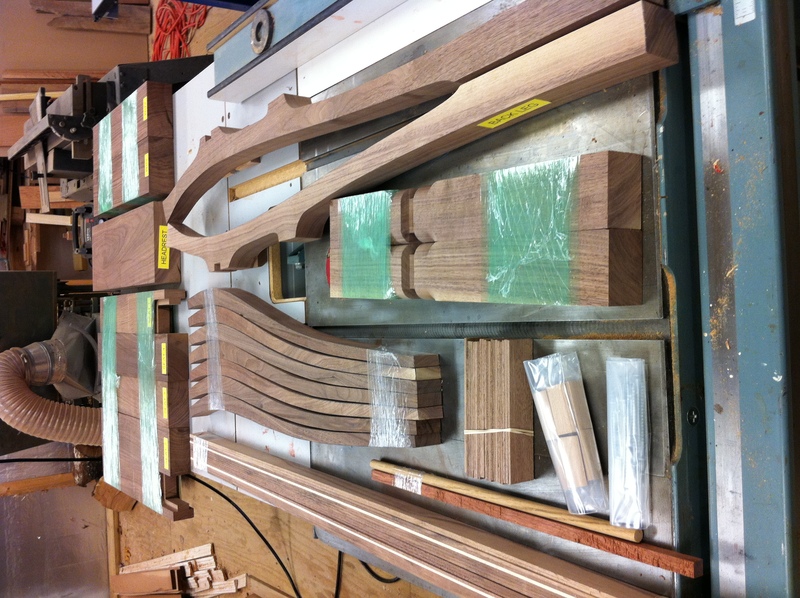 Working on Charles Brock’s Maloof-inspired walnut rocking chair kit from Highland Woodworking. Since I picked it up from the store last week, I got it home and started pulling the pieces out of the package. We had to stuff it into my small car and when I got home, it was too heavy (shipping weight is about 70 pounds) and awkward to get out by myself. I opened it up and took it out one piece at a time. 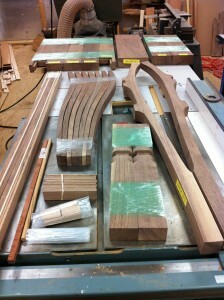 It took me a while because I spent a lot of time admiring the wood. 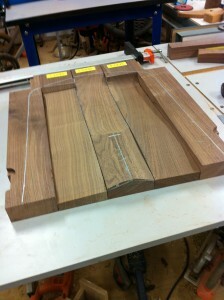 Seldom do most woodworkers get a chance to see walnut this thick and pretty. It is beautiful! 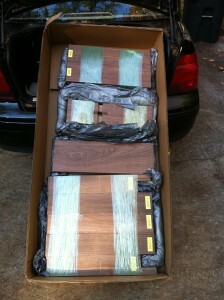 The kit comes in a box with fitted foam sections to protect the wood. 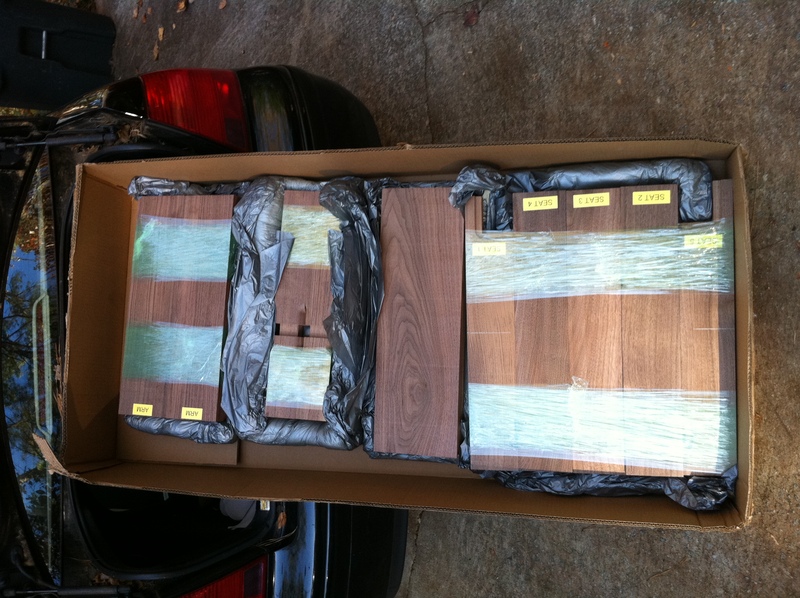 The wood is packed in two layers and some groups are shrink-wrapped together and labeled to match the instructions. I picked up a set of instructions including a book and the DVD Charles Brock has put together. Over the weekend, I read the book and watched the video a couple of times to get a feel for the whole process. There is also a smaller set of instructions packaged with the wood that is specific to the kit –sort of a subset of the DVD instructions. I found after I watched the video and got ready to start on the kit that the things, which initially looked the most difficult in the video, were already done. 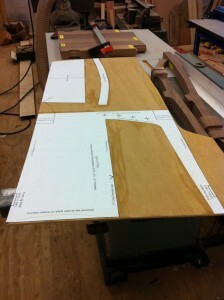 The tenons on the seat rear and shaping of the legs, front and rear, for example, are completed. I started with the seat as instructed. 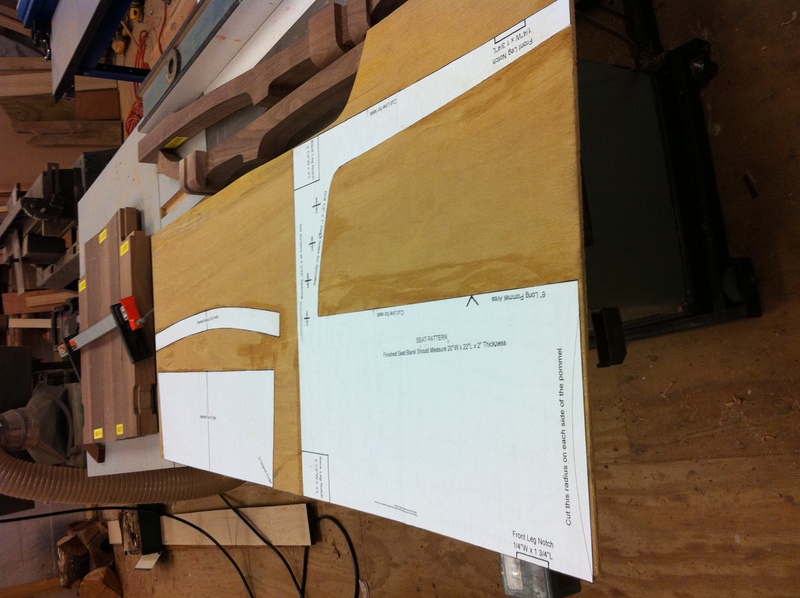 I first cut out the patterns from the plan sheets, glued them to some eighth inch ply, and used them to mark the seat. 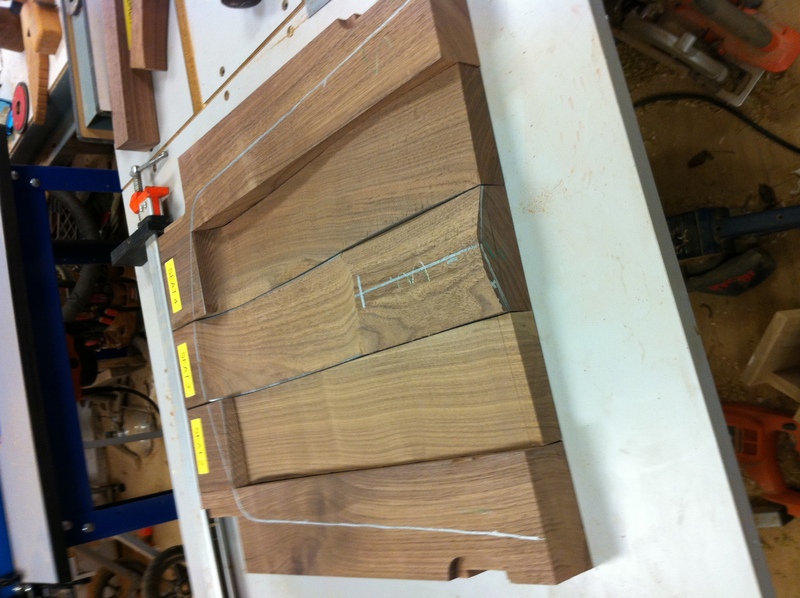 I could not help being a little apprehensive when I started sawing that beautiful walnut. This kit has absolutely beautiful wood. Watch the video carefully all the way through and then when you start working, you will have to sort out the parts of the video you need. 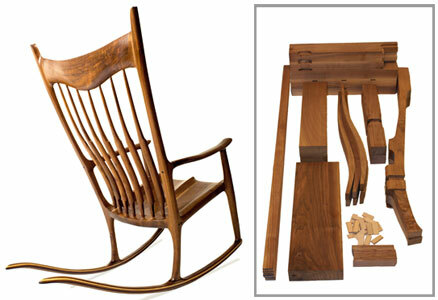 Before you start any step, go watch the video, read the book, and the instructions again, and then do the next piece. I never saw anybody mark up wood this way. He draws all over everything and since none of it is a finished surface until the very end, it doesn’t matter. I’m doing it too. This is better done listening to Mozart than the Beach Boys. Sets a more appropriate mood. 6 hours including watching video. $50 for right angle grinder and sandpaper and white pens.